Do Canadian passport holders require a Vietnam visa? The answer is YES. As Canadian citizen, you are requested to have full visa stamp on passport or pre-approval letter before travel. Otherwise, you have no chance to enjoy sights and sounds in the country. 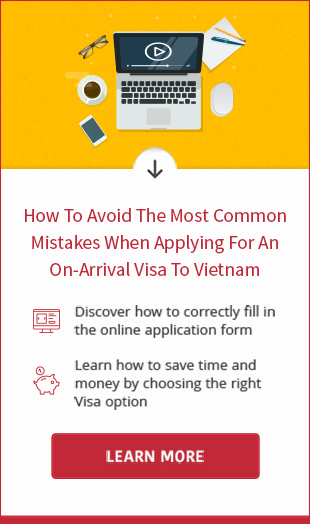 Any of your concerns about Vietnam visa for Canadians can be cleared up after reading this post. Vietnamese visa becomes effective from the expected travel date put in application, not from the date of application. The validity refers to authorized length of stay. That means, when you receive a three months single entry visa, you have 3 months stay in Vietnam. The entry date can be any date during period of visa validity. You are not required to travel on the date shown on the visa. Vietnam tourist visa is valid from 1 month to 3 months, and Vietnam business visa can be valid for up to 1 year. The Canadian visitors have 2 options to apply for entry visa to Vietnam: apply online through travel agents and apply in person or by post at embassy. The online application is preferred method for travelers since it saves time, money and energy. When you submit application online, the agents will provide you with an approval issued by immigration which you can show at any Vietnamese international airports to get visa stamp. For this reason, online visa is also referred to as “Visa On Arrival” or “Visa At Airport”. Getting the visa at embassy is no longer popular these days because of convenience of Visa On Arrival and E-visa (Note: E-visa is not applicable for Canadians). However, Traveling to Vietnam by bus or cruise require you to have the visa before arrival. In this case, you have to meet embassy for assistance. Step 1. 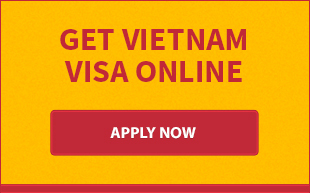 Complete application form online at http://www.vietnamvisa-easy.com/apply. An email confirmation will be sent shortly after you submit the application. The email is to help you double check information you just put in and to confirm your visa request was sent. Need business visa? Please make application by emailing passport copy and tentative travel date to [email protected]. We will reply in minutes with a payment link. Step 2. Pay visa fee with credit/debit card via Onepay or Paypal. You can also make payment via Western Union or Bank Transfer. If you fail to pay the fee, go back Step 1 or wait for our payment link to be sent via email. Pricing table for tourist and business visa is available at Vietnam visa fee page. Step 3. Receive visa approval and entry/exit from in your email after 2 processing days (excluding weekend and national holidays). The business visa takes a few days longer to process. The additional fee applies for Rush Visa Service. Step 4. Submit approval copy, completed entry/exit form, valid passport, 01 passport-sized photo at immigration counter. Wait until the officer calls your name and pay $25 stamping fee for single entry, $50 stamping fee for multiple entry, $95 for 6 months multiple entry and $135 for 1 year multiple entry, only cash. The stamping process can be slow when there is long queue in front of the counter. Stamping assistance service may be helpful for those who have limited time to get the stamp at airport. • Original passport: valid for at least 6 months from date of entry. The passport should have 01 blank page. Scanned copy of passport page is required for applications submitted by email. The embassy will deliver the visa result via mail for applications sent by email. The shipping charge is added. The invitation letter by business partner must be provided in application when you request a business visa. Normal processing time for tourist visa is 3 working days while typical waiting time for business visa is 10-15 working days. Please like or share our post “Vietnam visa requirements for Canadians” if you find it helpful. If you have any inquiries about immigration issues, just feel free to reach us for assistance.